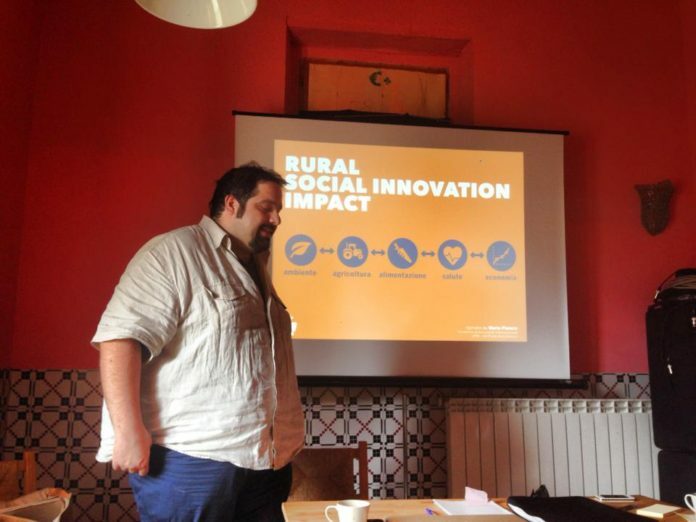 Pasquale Marzocchella: Rural Social Innovation Declaration is an elaborative document of Rural HUB research project. This is a testimony-rich document that explains the development process of a new rural economy. The new rural economy seeks ways to reappropriate a market-based economy, to be re-organized as a community-based economy, where the value of the product also encompassed social, environmental, and economic impact. This is a new economic model, that contains mutually useful values for the farmers, from the past until now ( such as; frugality, solidarity, respect of ecosystem and biodiversity ). Thanks to technology that has brought this forward to our contemporary lives. Young rural innovators bring higher job skill, that was acquired from the urban context or long-term residency in the foreign country, into agriculture area. This explained a global culture and the sharing of network ethics, that generates a strong resemanticizing of hype and contemporary concepts. 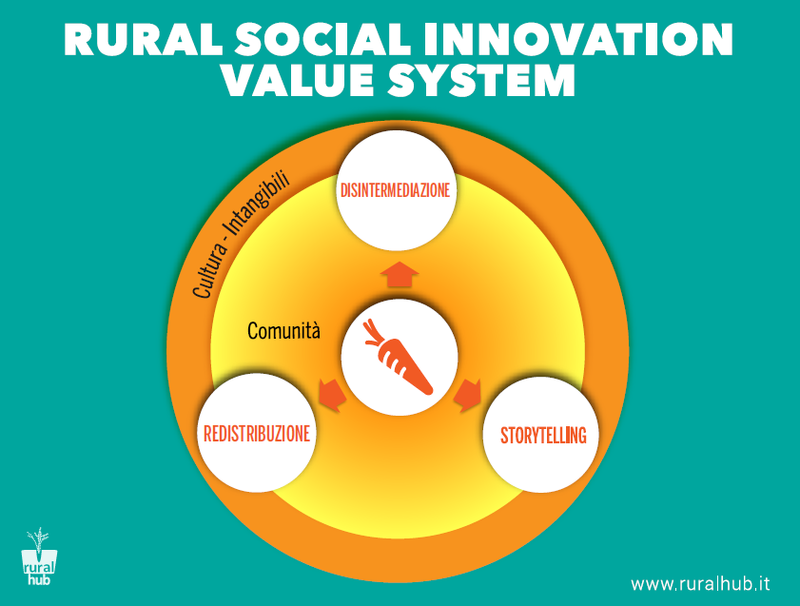 Rural Innovation System represents a new model of disintermediation that took over the role of logistic, using storytelling to substitutes marketing, and the distribution of finances. 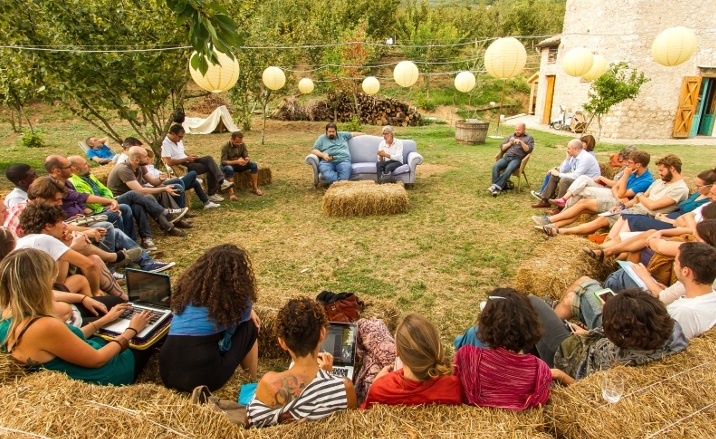 It replaces the conventional value chain by putting in the centre quality agriculture produces, and building rapport with the community during all the phases of the process: The disintermediation operates in a dynamic community that put the connection between producers and local community, from branding that substituted by authentic storytelling, that transmits the evocative values and identity of traditional agriculture products. This redistribution triggers the mechanism of retribution of values ( both material and immaterial) within the community. This model put together People, Planet, and Profit to generate positive externalities in the sectors of Agriculture, Environment, and Food, Health and Economy. The underlying idea necessitates a systemic vision, to enables evidence-making of the impact of our choices, directly and indirectly. Rural Hub is an important work that has become a source of inspiration and generated many projects, such as Rural Hack, among others. This conceptual framework is the base of Rural Hack work in leveraging new-enabling technology for rural development.